Confused in choosing between Rossignol Soul 7 and Rossignol Super 7? Both are popular skis on the market. They are made by the same manufacturer, Rossignol, which has produced a variety of high quality ski products, too. 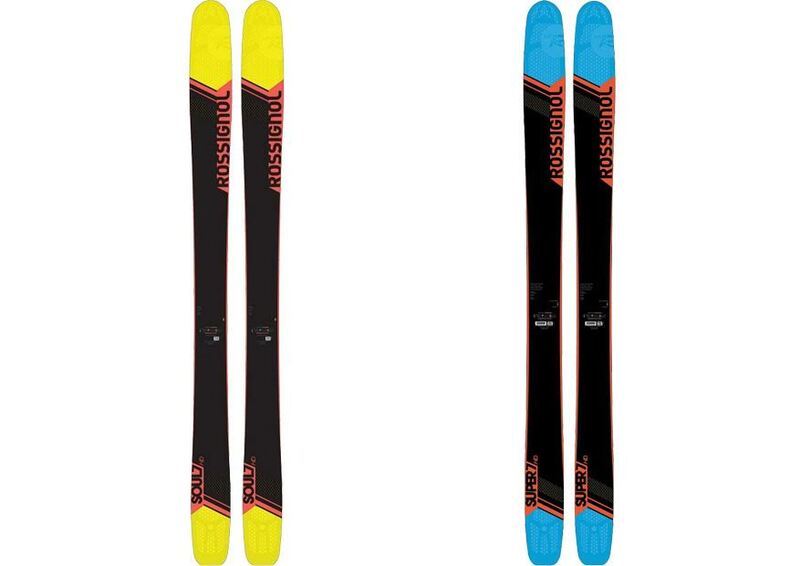 About these two models, Rossignol Super 7 is usually more expensive than Rossignol Soul 7. Then, the question is, what is exactly the difference between Rossignol Soul 7 and Rossignol Super 7? Which one is better? Which one will suit your style and preferences the most? Continue reading below to see the comparisons! Both Rossignol Soul 7 and Rossignol Super 7 are made from lightweight paulownia wood. These two models also come with the Powder Turn Rocker profile. However, Rossignol Soul 7 has been designed to be 80 % powder, 20 % all-mountain ski. It is more suitable for someone with a medium-advanced skill. It has a narrower waist width that measures by 106 mm, and it is generally lighter, too. On the other hand, Rossignol Super 7 has been designed to be 90 % powder, 10 % all-mountain ski. Hence, it is more suitable for someone with a high skill level. It has a somewhat wider waist width at 116 mm. Of course, it is made for a more specific purpose, so it is not exactly as versatile as its sibling here. Since we have read about the design, we may not be surprised that Rossignol Soul 7 can be more flexible and versatile for different kinds of snow. It slides excellently on resort-based as well as backcountry bound. It has noticeably more edge grip, dampness, stability, and drive. On the other hand, Rossignol Super 7 is the one that shines on powder, extremely fine and deep snow, even though it may be difficult to use on other terrains. Rossignol Super 7 is offering great floatation, effortless steering, and precise speed control, even in the deepest powder snow that you can find. Rossignol Soul 7 is great if you are looking for more versatile skis with great grip and stability. However, if you mainly slide on powder snow, then Rossignol Super 7 should be your choice, as the great floatation will allow for better steering and speed control.